Built in two stages - the eastern section (left hand side in the picture above)was built as an accommodation block for Coláiste Deuglán in 1922. 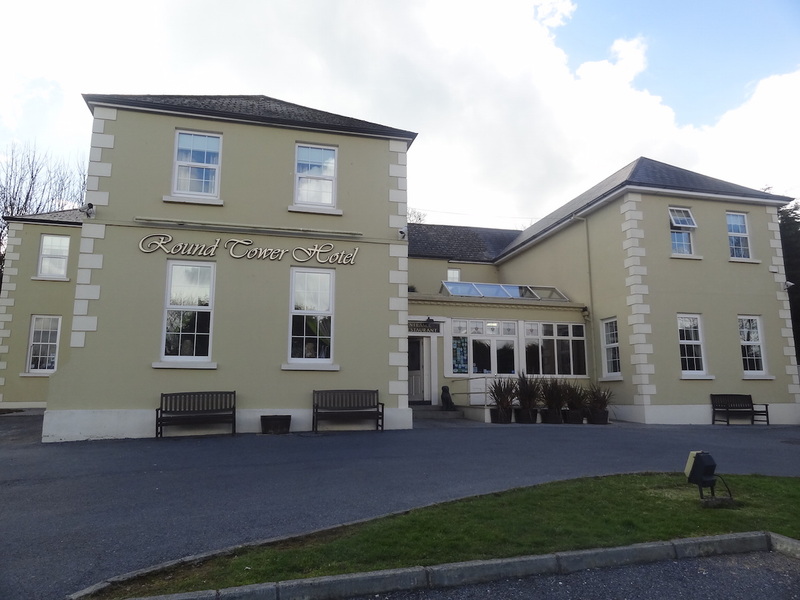 Subsequently bought by the Mercy nuns of Dungarvan and latterly converted to a hotel by Michael Ronayne. Now operated by Aidan & Patricia Quirke (proud sponsors of this booklet). Traces of the convent include a statue of the Blessed Virgin present in the rear garden and the faint outline of crosses on the entrance gate piers. The western extensions was added phases in 1989, 1996 & 2006.. The accomodation block was built on the site of the stables for Monea House. This section of the building also housed an historical exhibition in 1955. This was organised by the newly formed local branch of the ICA, and was the first of it’s kind in the country.